Although he's been injured and his team was just eliminated from the playoffs, you are likely familiar with Jeremy Lin. He's the unlikely Asian point guard from Harvard who inspired Knicks fans into a frenzy. He didn't just revitalize Knicks fans, his on-court heroics birthed the term "Linsanity." And this catchy term is coveted by many because it has given rise to numerous trademark filings, not all of which can survive. Because of this, a war over who will control "Linsanity" has broken out. Unlike most trademark battles that involve two people (or companies) arguing over who came up with or used the term first, the trademark war over "Linsanity" resembles Game of Thrones. This aligns well with the war over "Linsanity." At last count, there were 12 trademark applications just on "Linsanity" (or subtle variations), only one of which was filed by a person named Jeremy Lin. The remaining 11 contenders are others attempting to capitalize in a time of war. And although they were just filed, just like in Game of Thrones, already two of these kings, I mean marks, are "DEAD." Legal translation: The owners of two of the 12 marks expressly abandoned them. And I did not choose the word "DEAD." This is the actual term the Trademark Office uses for tracking purposes. All applications are either "LIVE" or "DEAD." In regards to these two, they are goners. As if things weren’t confusing enough, the 12 filings don't count the multitude of filings similar to "Linsanity," such as "Brooklynsanity" or "Winsanity" or even "Yellow Mamba." All these other marks may become part of the squabble over who truly owns the Iron Throne. I mean, the "Linsanity" marks. This is going to be one confusing mess for the Trademark Office to sort out, so don't be surprised if these trademark battles continue well into the third season of Game of Thrones in 2013. There's also another similarity between the "Linsanity" saga and Game of Thrones. In the series, while the four or five or six self-proclaimed kings battle each other, a threat unbeknownst to them waits beyond the Wall that separates the Seven Kingdoms from the wildlings up North. And it may doom them all. Here, that threat just might be Lance Lynn. Because, didn't you hear? This Cardinals' pitcher is a Cy Young contender who leads the National League with six wins. Already his on field performance has spawned a Midwestern "Lynnsanity" that may lay siege to the East Coast's "Linsanity." OK, Lance Lynn hasn't filed for a trademark registration (yet), but his existence may disrupt the possibility of anyone else getting a "Linsanity" trademark because, to whom is "Linsanity" referring? With Jeremy Lin done until next season. 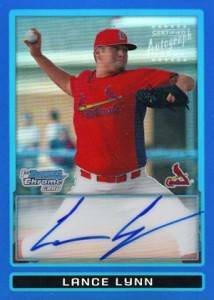 But with Lance Lynn pitching like a king, there's a chance that "Lynnsanity" could become just as well-known, if not more popular than "Linsanity." This does not mean that "Lynnsanity" will win and get a registration, but it just might mean that neither "Linsanity" or "Lynnsanity” will be distinctive enough to be awarded a registration. Legal confusion: Trademark registrations are typically awarded to marks that call the source of those marks into the minds of consumers. It's not just the catchiest phrase. You actually have to think of the trademark owner. Like, when you see the Golden Arches, you think of McDonald's. Or when you see "Just Do It," you know it's Nike. The problem here is that the more powerful Lynnsanity grows, the weaker Linsanity will be. If the typical consumer hears the word "Linsanity," and is confused as to whether it refers to Lance Lynn or Jeremy Lin (Or even Lynn Swann. Or some other Lin or Lynn, Lyn, Linn. Or even someone named Lynn A.A. Araki-Regan who did file a "Lynnsanity" application in February), the term is not distinctive for anyone and doesn't function as a trademark. And because of that, maybe no one will get it. 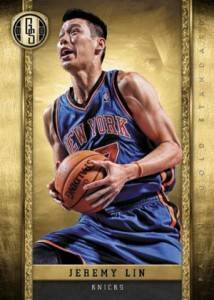 As most of you are aware, card collectors have also been seized by either "Linsanity" or "Lynnsanity" and are vying for Lin or Lynn trading cards. Also, the popularity of Game of Thrones has led to its own set of trading cards (Finally, a Tyrion auto!). So, not only has "Lin-Lynnsanity" spilled over into the trading card world, so has the battle for the Iron Throne. Now that I think about it, maybe Game of Thrones did predict the "Linsanity" battles. I mean, the king that held the Iron Throne before the latest king was dubbed the Mad King. It doesn't take that much of a jump to go from Mad to Insane. And from Insane to Linsane. Or Lynnsane. So, who in this world will be the Lin/Lynn-sane King? My prediction: nobody. Confusion isn't good. Legal confusion: Because just like in Game of Thrones, as one of the characters in the show early in the second season commented, "Another king? How many is that now?" So, for a final parallel, "Another Lin? How many is that now?" And to whom does it refer? And because it may get to the point that no one knows the whom to which "Linsanity" refers, no one may end up owning "Linsanity."